Those of you who are new to Nerf may believe that you are limited to the guns that you can purchase in the toy aisle of your local Target or Walmart. 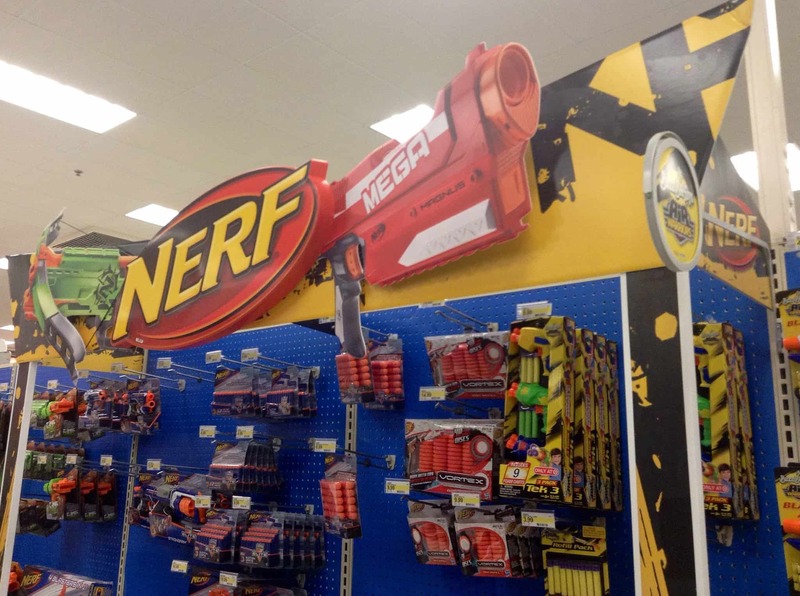 However, the truth is that there are hundreds of Nerf blasters that you can find online or in-store, even if they have long been discontinued. 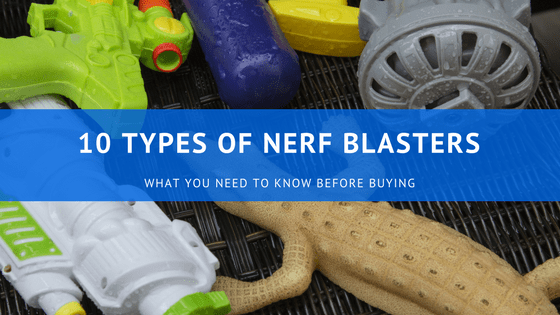 To help you better determine which type of gun you need, use the following list of ten types of Nerf blasters that you can purchase right now. Although Nerf doesn’t have a specific line dedicated to mini-blasters, there are quite a few mini-blasters on the market. Mini-blasters are characterized by their small size, their low ammo capacity, and their unique cocking mechanisms. Mini-blasters are typically able to carry and shoot up to three bullets and have cocking mechanisms that need to be pulled down or back. Along with these qualities, many mini-blasters are able to match the range of some of their counterparts and use the same type of ammunition as other blasters as well. A Nerf mini-blaster is the type of gun you will need if you are introducing a child to Nerf or if you need an easily concealable weapon during battle. Handguns are one of the more versatile types of blasters produced by Nerf and come in handy as both a primary and a secondary weapon. Handguns can usually be operated with one hand, have lighter bodies than the other Nerf blasters and have an ammo capacity of at least six rounds. Despite these common characteristics, Nerf handguns vary in their build and their functionality. Some handguns use a cocking mechanisms that need to be pulled back and require manual reloading, whereas others have semi-automatic firing. Overall, you should be looking into purchasing a handgun if you want a weapon you can use in battle without having to worry about the expensive price tag that comes with some of the larger Nerf blasters. Shotgun Nerf blasters, which are mechanically similar to real shotguns, have a low ammo capacity but have the power necessary to shoot one or multiple bullets quickly at your opponent. Nerf shotgun blasters are typically characterized by their long barrels that can shoot up to 2 foam darts, their pump action cocking mechanisms, and their lack of accuracy. These types of blasters are great for close combat situations but should be not used for any other type of battle, as they are highly inaccurate at distances and take a while to reload. The term “rapid fire” can refer to the capabilities of many Nerf blasters. For example, Nerf produces handgun-sized blasters that have rapid-fire capabilities as well as seven-pound blasters that have rapid-fire capabilities. Still, rapid-fire blasters do share some common characteristics. Rapid fire blasters require batteries to operate, have a larger ammo capacity, and use an acceleration trigger that needs to be pulled along with the regular trigger in order to launch the bullets quickly. Rapid-fire blasters are best suited for Nerf fanatics who need a blaster that will allow them to effectively attack their opponents with ease. Long-range Nerf blasters can be best compared to today’s sniper rifles. These blasters often have long barrels and bodies, use ammo clips that are inserted into the bottom of the gun, and have tripod or bipod stands so that you can improve your accuracy and better support the gun’s weight. The range standard set by the Nerf Elite series is typically about 90 feet. However, long-range rifles extend this range to about 100 feet or more, depending on the type of ammunition shot by the blaster. This category does not include blasters such as those that use high-impact rounds and manage to meet this type of range. While useful, long-range blasters are only helpful in indoor environments that are expansive or outdoor areas. The Nerf N-Strike Mega Series emerged in 2013 as part of the Nerf N-Strike Series. This series features blasters that have red and orange designs along with a “Mega” logo, they use mega series darts that are much larger than the average Nerf dart, and has a variety of blasters in different series as well. Mega blasters have an advantage over other blasters due to their larger bullets. These bullets usually fly much farther than other series’ darts and pack more of a punch. Blasters from the Nerf N-Strike Mega Series are good for those who need more power than the average blaster. The Nerf RIVAL Series was released in 2015 and is intended for teens and adults who need serious power from their blasters. The Nerf RIVAL Series uses high-impact, foam ball rounds that are capable of reaching speeds of about 100 feet per second, use magazines to make it easier to reload during battle, and come in red and blue so players will be able to form teams. While most of the Nerf RIVAL Series Blasters are only made to support the high-impact rounds that they were designed for, some of the blasters are capable of launching mega series darts. Overall, a Nerf RIVAL Series Blaster is the type of gun that you will want if you plan on playing frequent, intense Nerf battles. Nerf Vortex Series Blasters were first introduced in 2011 but have since been discontinued. These blasters use disc projectiles in place of foam darts, reach distances of about 35 feet, and their size ranges from about the size of a handgun to the size of an assault rifle. The Nerf Vortex Series Blasters are not made well enough for Nerf gun battles but do make good gifts for those who won’t use their blaster frequently or who are too young to handle the power of a Nerf dart. The Nerf N-Strike Modulus Series was first introduced in 2015 as a customizable series of weapons. All Nerf N-Strike Modulus Series Blasters can be customized in different ways with the accessories provided, the parts for one blaster can be used to customize any other blaster in the series, and some of the weapons are capable of shooting mega darts as well as missiles. Some of the accessories that come with these blasters include shoulder stocks, barrel sights, and barrel extensions. These are the types of blasters that you should purchase if you want a highly modifiable weapon. Bow and crossbow blasters can be found throughout many of the Nerf series that are currently available. Bow and crossbow blasters are typically characterized by their bow-like cocking mechanism, their design that resembles a bow or a crossbow, and, sometimes, by their arrow ammunition. Although many Nerf bows and crossbows may look like an authentic bow or crossbow, many of them do not fire in a similar fashion, especially the bows. If you are looking for real firing action, the only blaster will work is the crossbows. Overall, bow blasters are great for those who want something that is different from the common blasters that Nerf makes. There are more Nerf blasters out there than one can imagine, especially if you look into some of the series that have been discontinued. No matter what type of blaster you need, the list above will better help you with your research and will open your eyes to the world of Nerf.